An essential reference book for every small business owner who wants to gain a competitive advantage through understanding how to take advantage of tax savings. There’s one reference book every small business owner must have. It’s J.K. Lasser’s Small Business Taxes 2015: Your Complete Guide to a Better Bottom Line. The book is updated each new tax year by Barbara Weltman, the doyenne of small business taxes. There are lots of tax books out there, and tax resources galore. What’s different about this tax book is that the information is specifically tailored to what small business owners want to know. This is a good book — it’s a good book because it can keep more money in your pocket. I don’t know about you, but a bigger bottom line always gets me excited! The book is almost two inches thick as a paperback, with good-sized print. It has over 600 pages. As you might imagine, it is packed tight with information. Weltman explains a complex tax code in a way that makes it easier for non-tax pros to understand. This is the kind of book you will want to put next to your desk. Refer back to it often. It gives plain language explanations of tax provisions. I won’t outline them here because, well, this book covers EVERYTHING. Hundreds of specific examples illustrate how to apply the tax code to real business situations. The examples are set apart in gray boxes that are easy to pick out on the page. You get checklists! One checklist in particular is worth the cost of the book. It’s 12 pages of deductible and nondeductible business expenses, broken down according to whether you are a self-employed entrepreneur, whether you have employees, or whether your business is incorporated. Chapter headings are relevant to how you run a business — not how the tax code is written. There’s an excellent index. If you need to quickly check on a specific tax code provision, the index probably lists it. Just remember, you’re still dealing with the tax code. I won’t kid you. By its nature, reading tax information can be like wading through molasses in spots. But if anyone can make the tax code understandable for small business owners, it’s Barabara Weltman. If you’re looking for crazy-creative “tax shelters” that push the envelope and help you get rich overnight, you’re not going to find them in Small Business Taxes 2015. If that’s what you want, keep looking. But what you will find — like I did — is perfectly legitimate, tax-savings methods that many people don’t realize exist. That’s the beauty of this book. Just one of those legitimate tax savings may save you many thousands of dollars each year. I am a firm believer in using an accountant or tax preparer. But I also strongly believe that the business owner must be an active participant in tax planning throughout the year. A knowledgeable business owner is a better business owner. For example, knowledge will help you understand how to properly set up your records. This makes it easier to claim all the deductions you are entitled to. Knowledge will help you make spending and investment decisions that can pay off — if done the right way. 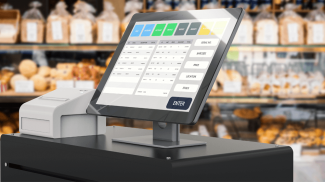 You may find that you actually can afford to hire or invest in new equipment or software, because you can take advantage of tax savings. Knowledge can help you avoid mistakes that lead to costly penalties. And the more you know, the more of a competitive advantage you have over your less informed peers. 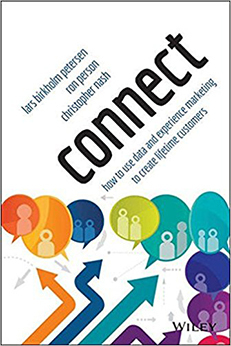 Small Business Trends question: How should small businesses get value out of a book like this? Should owners sit down and try to read it cover to cover before filing their taxes? Barbara Weltman: While the book is helpful for tax return preparation, it’s intended to be a year-round tax guide for business owners so they can make taxwise decisions in their operations. For example, the book is useful in deciding whether to buy or lease a vehicle, the implications of hiring an employee versus engaging an independent contractor, and how to shelter profits with a qualified retirement plan. It’s not a page turner like a novel. It’s a reference guide in which information can be easily accessed by the table of contents or the index. Small Business Trends: Who should read Small Business Taxes 2015? 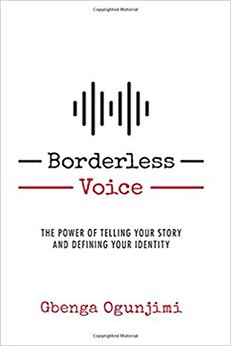 Barbara Weltman: The book is helpful to both the seasoned business owner as well as someone just starting out. It’s also for those thinking about running a business and wanting to know the extent of their tax responsibilities. Information in Small Business Taxes 2015 can also benefit HR managers, procurement decision makers, and people with responsibility for business decisions. The book also has tax-specific information for farmers who are small business owners. Small Business Trends: Can you tell us what the book is best for, so buyers know what to expect? Knowing specific tax law limits and requirements to claim various deductions, credits, and other tax breaks. Seeing where to report items on tax returns (such as, for sole proprietorships, partnerships, LLCs, S corporations, C corporations). Understanding the scope of taxes that businesses have to deal with (income taxes, excise taxes, sales taxes, employment taxes). Implementing year-round tax planning (such as year-end strategies, starting and closing a business, running multiple businesses, running sideline businesses). Small Business Trends: What’s one concrete example of how Small Business Taxes 2015 can help the reader? Barbara Weltman: Every business owner should know that they need to track the mileage for business use of a personal vehicle. However, they may not know that there’s an IRS-approved shortcut called “sampling” or that apps can be used for recordkeeping. Barbara Weltman started working for the J.K. Lasser Tax Institute in 1977 and went into private legal practice in 1983. Weltman maintained an association with the Institute (today owned by publisher John Wiley & Sons, Inc.). She currently works as a contributing editor to Your Income Tax and author other Lasser books, including J.K. Lasser’s 1001 Deductions & Tax Breaks and J.K. Lasser’s Guide to Self-Employment. This is the 20th year for the J.K. Lasser’s Small Business Taxes book. She is a leading authority on small business taxes. She publishes an “Idea of the Day” and a monthly e-newsletter. She has written over 25 books. 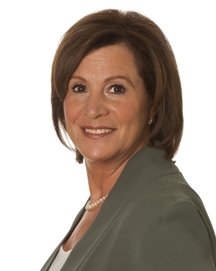 She can be found on Twitter @BarbaraWeltman and on her website, Big Ideas for Small Business. Weltman also writes a monthly tax column here at Small Business Trends. 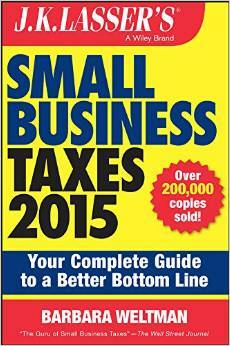 Small Business Taxes 2015 is available as an ebook or large paperback. It can be found online or in bookstores for about $13 to $23, depending on discounts. And it’s well worth it. Ooh every business owner who is having trouble with financial terms need this. This is a topic that you really can’t avoid and it definitely helps to have a guide for it.